MYAGDI, May 14: The Visit Myagdi Year 2075 has kicked off in Maygdi district with a goal of promoting tourism. The Myagdi Chamber of Commerce and Industry initiated the Visit Myagdi Year 2075 in collaboration with the local levels and the related government bodies, amidst a function here on Sunday. The objective of the VMY 2075 is to bring in the maximum number of tourists, both foreigners and domestic, to the district by identifying, protecting and publicising the natural, historical, cultural and traditional heritages. Development of the tourism infrastructures by identifying the touristic sites has also been prioritised under the VMY 2075, said Uttam Karmacharya, the President of the District Chamber of Commerce has stated. Myagdi is a district already rich in natural and cultural heritages. 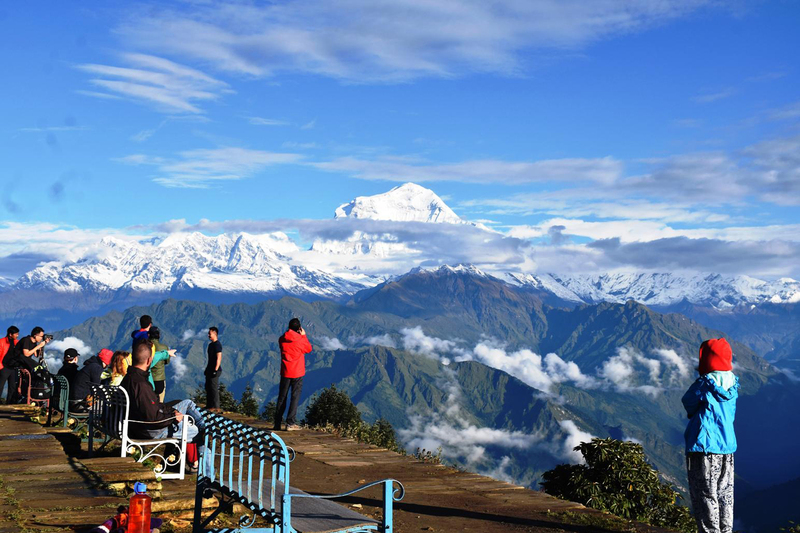 The Dhawalagiri mountain peak, the Annapurna circuit trekking route, the Annapurna- Dhawalagiri community trekking route, the Dhawalagiri icefall, Dhawalagiri century, Annapurna base camp, west Dhawalagiri circuit, the Tatopani hot water springs, Ghodepani, Khopra, Mohardanda, Todke, Rupse and the world's deepest gorge Andhagalchhi are some of the places of tourist attractions in the district. Minister for Culture,Tourism and Civil Aviation, Rabindra Adhikari inaugurated the VMY 2075 in Beni, the district headquarters. On the occasion, he said Myagdi would be developed as the 'capital of trekking tourism'.